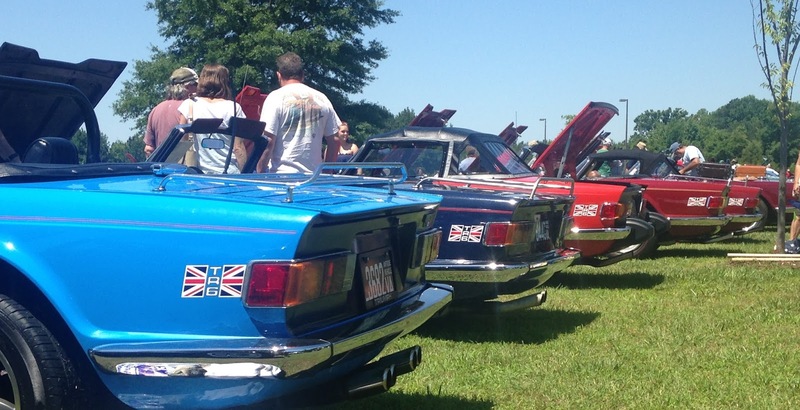 I don't know about you, but the last three days have been chock full of car-related goodness here at NMS-North! Just one of the many advantages to being retired from one career and not quite having started the next one yet. The last post covered Friday's visit to Fantom Works, so today we'll start looking at Saturday's HUGE British car show in a couple of blog posts, and then I'll throw in the results from auto-cross on Sunday. 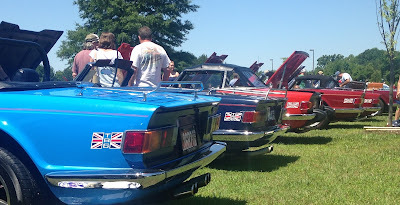 Saturday I ventured over to Petersburg Virginia, just a bit south of Richmond, and checked out the big open house that Moss Motors hosts every year. This was my first time visiting their facility, so let's take a look around! Oh, but first, let me show you how you can get your own classic Triumph, MG, Austin Healey, or even a 97 Miata for FREE! Yes, that's right, the ol' NMS blog is giving EVERYONE A FREE CAR! EVERYONE READING THIS BLOG GETS A CAR! Just go to this page on the Moss website, print out the drawing of a classic car, make a few cuts with some scissors, get some tape or glue, and YOU'VE GOT A FREE CAR! You're welcome! 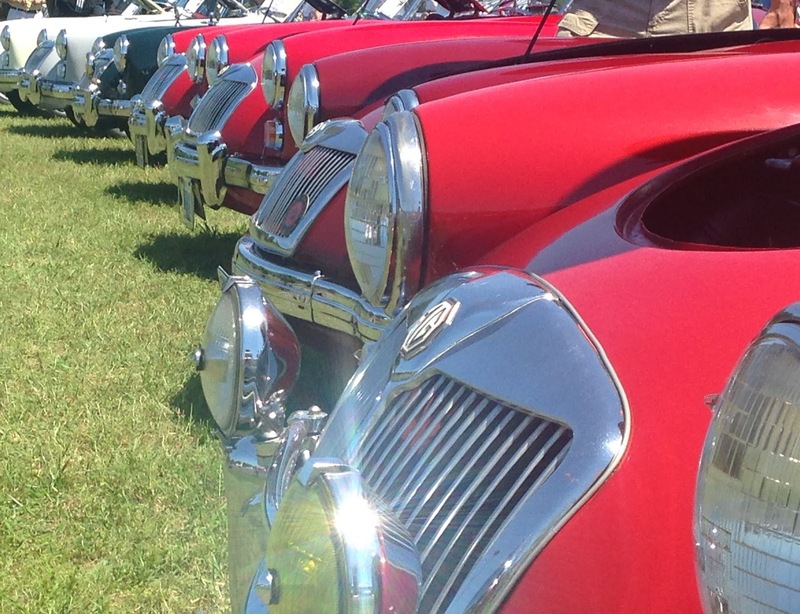 Moss specializes in classic British cars such as MGs, Triumphs, Austin Healey's, etc. Recently they've added Mazda Miata parts, and with their main locations in California and Virginia, they've pretty much got you covered anywhere in the continental US and around the world. First off, the weather was great, and I really enjoyed the drive through mostly country on route 460 over to Petersburg. Sorry I didn't have a British car to take, so hopefully my Italian FIAT was OK. Secondly, holy smokes there were tons of MGs, Triumphs, and Miatas. That was the largest part of the show, followed by some original Minis, some Jaguars, and then some other British marks as well. There were plenty of Moss Motors info and catalogs to order from, other vendors, plenty of food trucks, and then there was even more cool cars indoors! Then, thirdly I guess, I took one of the guided tours in the facility and was impressed with the entire operation. So, my three hours on site was just jam packed full of cool auto stuff, plus an ice cream cone, so I'm just going to have to break it down into a couple of posts to cover just the highlights. Before showing you some photos, I'll just say that if you have an interest in British cars you really need to visit their annual car show! OK, now let's go! 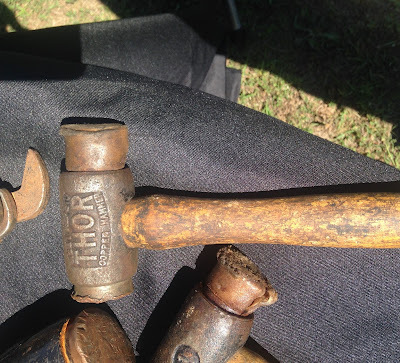 I found Thor's hammer at a tool vendor!